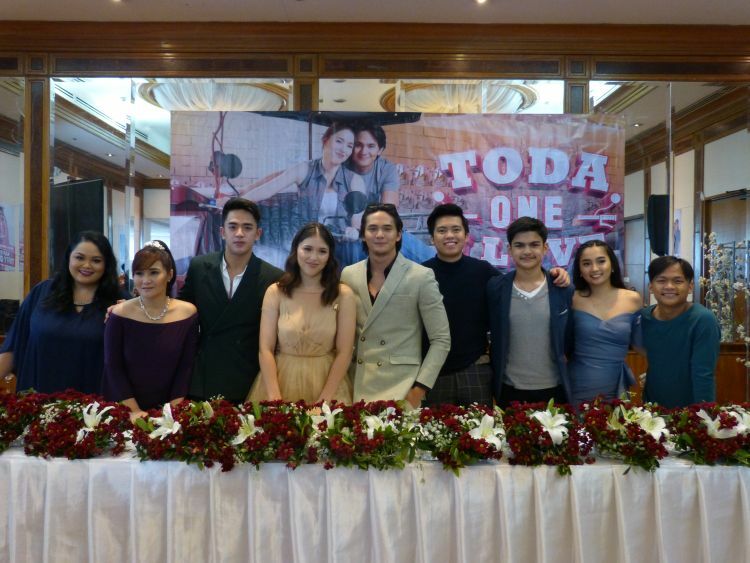 Directed by Jeffrey Hidalgo and Nick Olanka, TODA ONE I LOVE is now ready for its world premiere this coming February 4 (Monday) on GMA Telebabad. 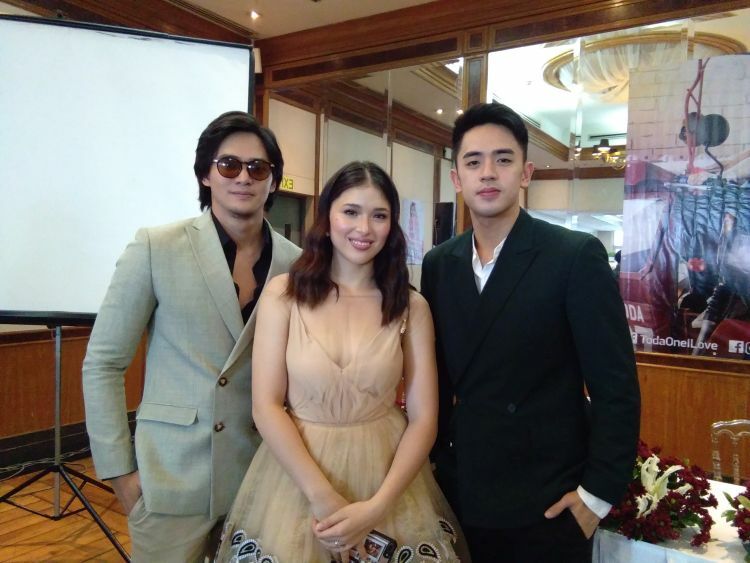 Produced by GMA News and Public Affairs, “TODA One I Love” is dubbed as a one-of-a-kind political romantic comedy (RomCom) TV series that will feature the comeback project of Kylie Padilla and Ruru Madrid – or KyRu to fans. During an intimate bloggers conference held at GMA Network, Kylie and Ruru shared their excitement for the new project and in working with each other again. Kylie stressed that there’s no better actor to work with on her comeback series than Ruru because they’ve already worked in the past as a love team and are very much comfortable with each other already. Kylie Padilla plays the role of Angela “Gelay” Dimagiba, a strong-willed, independent young woman who will play an important role in the life (and heart) of Emong or Raymond Magsino played by Ruru Madrid. An engineering student, Gelay is the daughter of a tricycle driver Mang Tolits (Allen Dizon) and Aling Lea (Tina Paner). Family is everything for Gelay; she is willing to sacrifice her own happiness for them. Emong on the other hand, is the son of Aling Jane (Maureen Larrazabal) and Mang Jessie (Raymond Bagatsing), the incumbent TODA president. A hard-working lad, Emong is determined to better his life. With his TESDA course under his belt, he goes abroad to work as a mechanic. This temporarily cuts his friendship with Gelay. But when his employer closes shop, Emong has no choice but to go back to the Philippines. Upon his return, Emong discovers that Gelay is still the tough girl he knows—only she has transformed into a beautiful lady. Emong now finds himself head over heels with his childhood friend. However Emong faces competition when it comes to winning Gelay’s heart, the handsome and prince charming material Kobe Generoso played by Chinito heartthrob David Licauco. Even though Kobe is the son of the incumbent Mayor Migs (Victor Neri) and ex-mayor Mayora Dyna (Gladys Reyes), he still wants to make a name for himself. And as if a love triangle isn’t enough of a complication, the story takes a sharp turn to chaos when Gelay, Emong and Kobe got caught in the whirlwind politics of the Tricycle Operators and Driver’s Association (TODA) and an upcoming local mayoral elections. TODA ONE I LOVE will take viewers to a front seat view of local politics in the Philippines presented with a sprinkle of comedy and romance. Also in the series are Kapuso stars Jackie Rice (Tiffy Obrero), Kim Domingo (Vicky), Cai Cortez (Finny), Buboy Villar, Archie Alemania, Kimpoy Feliciano, Ayeesha Cervantes, and Bruce Roeland. Catch the world premiere of TODA One I Love on February 4 on GMA Telebabad. Kapuso viewers abroad can also catch TODA One I Love on GMA Pinoy TV. For the program guide, visit www.gmapinoytv.com.